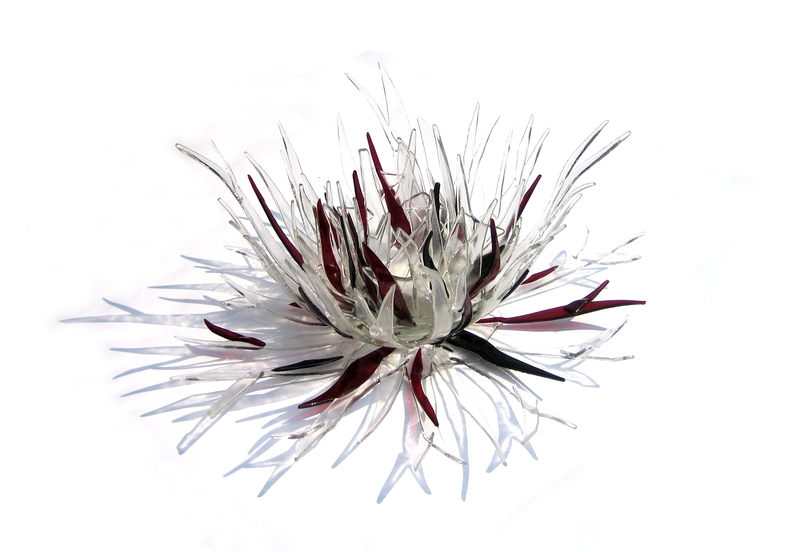 Top/left: “Passionflower” three-dimensional glass sculpture in clear, red and black glass (40 x 25 cm). 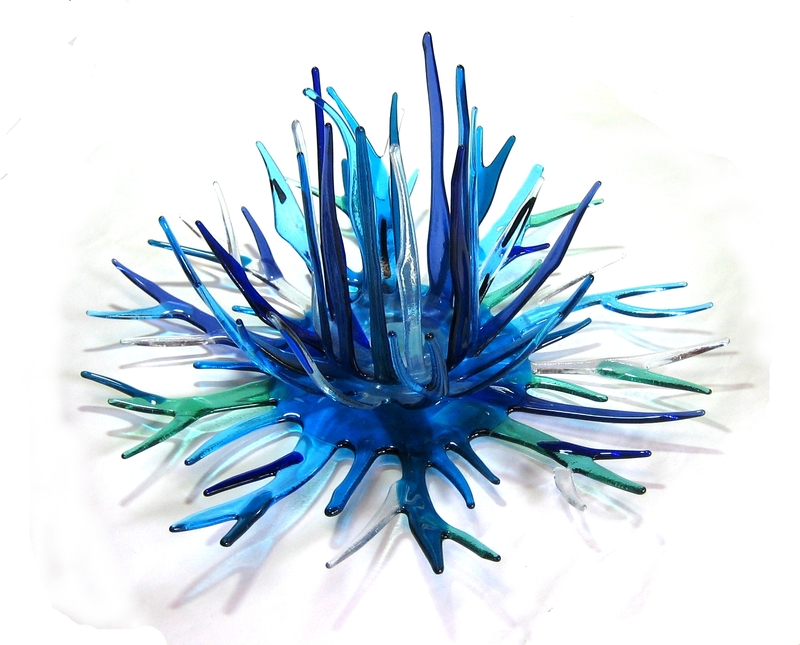 “Spikies” are the name I’ve given to these largely functionless abstract forms in glass. In the broadest sense they could be considered sculptures. 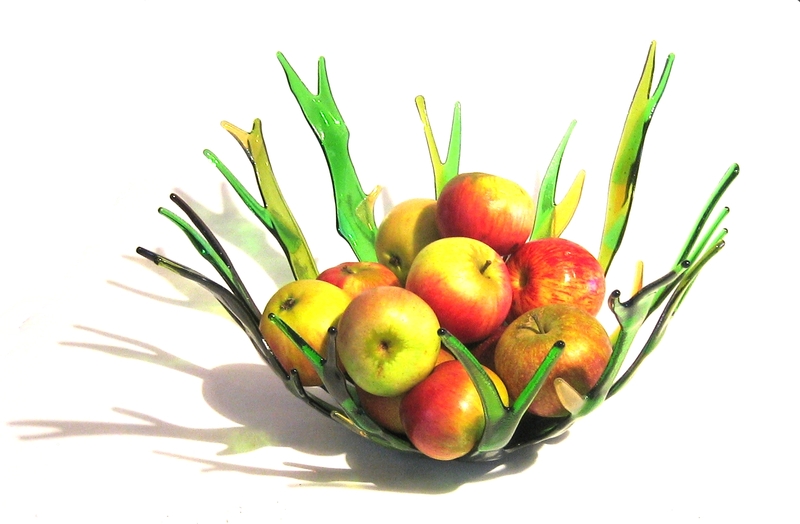 Apart from the fruit bowl which is at least partially functional, these glass pieces are form rather than function. Passionflower and Blue Lotus are essentially not single but nesting structures. Each substructure consists of a fused and then slumped collection of glass pieces. These are then assembled on site.